Lingering over dessert with family and friends after a fantastic holiday meal is one of those moments that I like to savor, and in my opinion, dessert isn’t complete without a hot pot of coffee to accompany it. But sometimes I want something a little stronger with dessert, and that’s when I like to pull out a bottle of Kahlúa to jazz things up a bit. 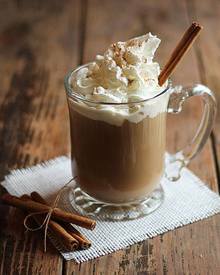 In this case, I chose to use my favorite Kahlúa Pumpkin Spice liqueur to create an after dinner pumpkin spice coffee that pairs perfectly with the pumpkin pies and pumpkin cheesecakes of this season!